Ok, you may be saying to yourself, "No it's not." Well technically that may be true. But as a career coach and talent management specialist, I regularly suggest that there are many roles expected in our work life that are not formerly listed in our job description -- being a leader is definitely one! Why do I say this? Because when you look at the purist definition of leader, having a title is not a qualifier. 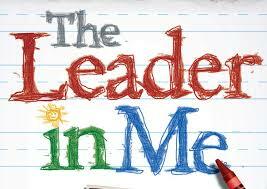 Leadership is not necessarily a title, it is a behavior. Seeing leadership through that context then allows for a broader, more holistic view of that behavior and how it plays out in everyday life. For example, I bet there is no parent that can admit that at one time, in a moment their child led them to do something to which they originally said no or really didn't want to do! Every child at one time or another exhibited leadership. Leadership in fact is the ability to move someone from point A to point B. Upon closer inspection we've all done that in someway in our lifetime. I think viewing leadership from this grassroots level allows everyone to believe they possess leadership capability and inspires them to connect to "that leader within". Professionally then, we all need to connect with and utilize our "natural leader within" to support us in what we've trying to accomplish no matter our title. This is an important career management tip. Without this, you'll not leverage and more fully cultivate your talent. This post was inspired by a another post sent to me by Teresa Crane from the site Best Colleges On Line. The post, How to Gain the Leadership Skills Employers Want, though written for college students, has some excellent career management insights and tips. - Access here. My favorite quote from the article is: "...leadership is an inner strength that inspires outward results." Your coaching tip of the day: See yourself as a leader and when you have difficulty stepping forward, go to and access that "leader within"!